The Mohs' hardness scale was developed in 1822 by Frederich Mohs. This scale is a chart of relative hardness of the various minerals (1 - softest to 10 - hardest). Since hardness depends upon the crystallographic direction (ultimately on the strength of the bonds between atoms in a crystal), there can be variations in hardness depending upon the direction in which one measures this property. One of the most striking examples of this is kyanite, which has a hardness of 5.5 parallel to the 1 direction ( c-axis), while it has a hardness of 7.0 parallel to the 100 direction ( a-axis). 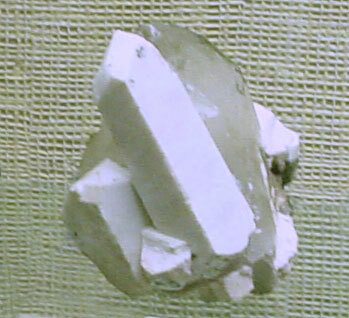 Talc (1), the softest mineral on the Mohs scale has a hardness greater than gypsum (2) in the direction that is perpendicular to the cleavage. 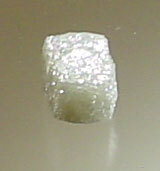 Diamonds (10) also show a variation in hardness (the octahedral faces are harder than the cube faces). For further information see articles from the American Mineralogist on microhardness, the Knoop tester, and diamonds. Mohs' hardness is a measure of the relative hardness and resistance to scratching between minerals. Other hardness scales rely on the ability to create an indentation into the tested mineral (such as the Rockwell, Vickers, and Brinell hardness - these are used mainly to determine hardness in metals and metal alloys). The scratch hardness is related to the breaking of the chemical bonds in the material, creation of microfractures on the surface, or displacing atoms (in metals) of the mineral. Generally, minerals with covalent bonds are the hardest while minerals with ionic, metallic, or van der Waals bonding are much softer. When doing the tests of the minerals it is necessary to determine which mineral was scratched. The powder can be rubbed or blown off and surface scratches can usually be felt by running the fingernail over the surface. One can also get a relative feel for the hardness difference between two minerals. 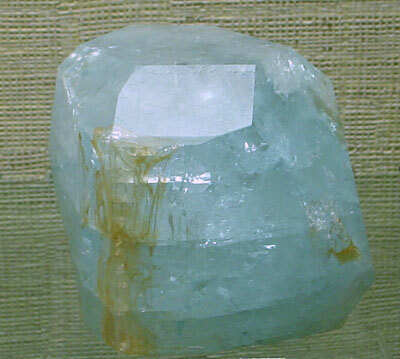 For instance quartz will be able to scratch calcite with much greater ease than you can scratch calcite with fluorite. One must also use enough force to create the scratch (if you don't use enough force even diamond will not be able to scratch quartz - this is an area where practice is important). You also have to be careful to test the material that you think you are testing and not some small inclusion in the sample. This is where using a small hand lens can be very useful to determine if the test area is homogenous. 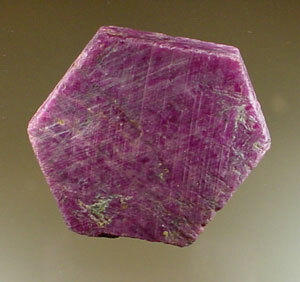 Corundum 9 variety ruby, India 6 cm. 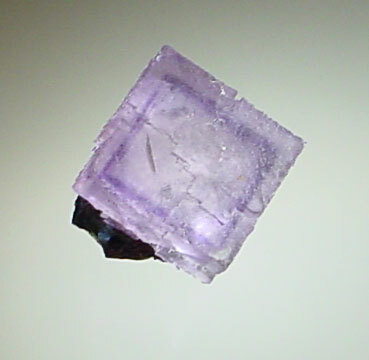 Quartz 7 variety amethyst, Guerro, Mexico 16 cm. Orthoclase 6 Orthoclase (white) on quartz, Baveno, Italy Orthoclase crystal is 3 cm tall. Seaman museum specimen. 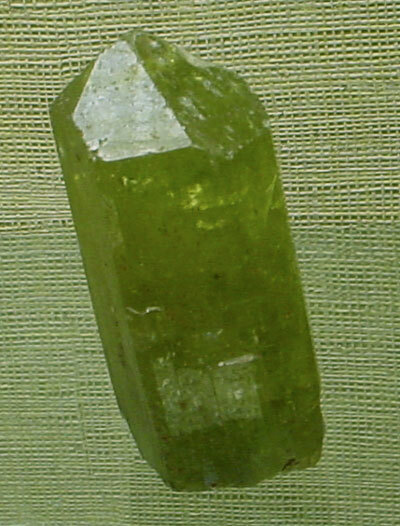 Apatite 5 Durango, Mexico. Crystal is 7.5 cm. tall. Seaman museum specimen. 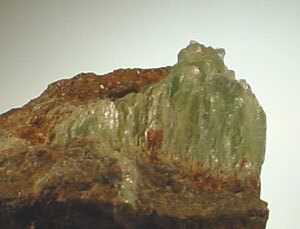 The effects of high hardness are important in many fields. Abrasives are used to form and polish many substances. Diamonds are an important mineral component in cutting tools for the manufacturing of metals and other substances, forming dies for the drawing of wires, and for cutting cores in oil wells and mineral exploration. Emery - a variety of corundum, is used in many abrasive products that do not require the hardness (or expense) of diamond tools. Garnets were used as an abrasive in sandpaper. 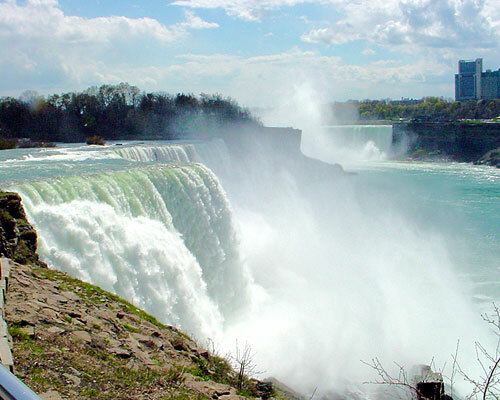 Talc is an extremely soft mineral that has been used in bath powders (talcum powder).